Atheists file suitRead the lawsuit filed by the American Atheists Inc. against Bradley County and Sheriff Eric Watson. 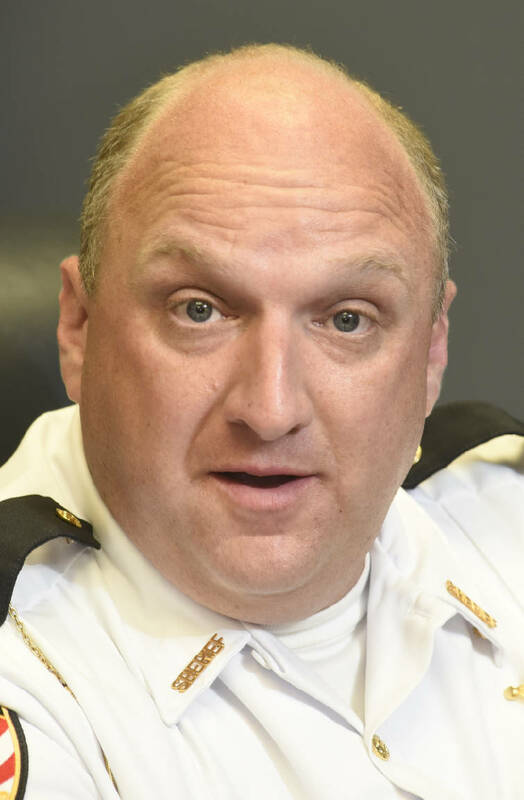 An atheist group has sued Sheriff Eric Watson and Bradley County, Tenn., for promoting Christianity and allegedly deleting critics' and unbelievers' posts on the sheriff's department's official Facebook page. The American Atheists Inc. and a Bradley County resident identified as Jane Doe filed the suit Friday evening in U.S. District Court in Chattanooga, claiming the sheriff's office violated their First Amendment rights. They are asking a judge to stop Watson and his employees from proselytizing for Christianity on government social media and from censoring opposing viewpoints. Bradley County was included in the lawsuit because it funds most of the sheriff's budget, and because it did nothing to stop the First Amendment violations, the complaint states. "This lawsuit is about protecting the community's First Amendment right to speak out about its elected officials," Amanda Knief, national legal director for the New Jersey-based American Atheists, said in a news release. "The BCSO had no problem with public comments until they were critical of the sheriff or his proselytizing at work. But the government doesn't get to silence speech it doesn't like — even if that speech is negative, unflattering and disrespectful of the sheriff's religion." Bradley County Attorney Crystal Freiberg said Friday night she had been contacted by the group's attorney, Perry A. Craft of Nashville, but had not seen the actual lawsuit. The lawsuit said the local resident filed as Jane Doe for fear of "ridicule and possible retaliation." Doe took exception when the Facebook page posted "He Is Risen" and a Christian message on Easter, the lawsuit states. The American Atheists received a complaint March 27, and the next day wrote Watson saying the post was inappropriate for a government website. A Cleveland media outlet covered the controversy, and Watson posted the article on the BCSO Facebook site, the complaint states. Thereafter, supportive and Christian comments on the site were left alone, while posts supporting the atheist point of view or criticizing the sheriff's office were deleted, the complaint states. After a comment Doe posted under a pseudonym on April 5 was deleted, she complained to Lindsay Hathcock, assistant to Bradley County Mayor D. Gary Davis, according to the lawsuit. Later that day, the sheriff's office blocked the Facebook account Doe maintains using her real name, even though she had never posted from that account on the sheriff's site before, the suit states. She complained to the sheriff's office and that account was unblocked, but other critical comments made under her pseudonym continued to be blocked, the lawsuit states. The American Atheists say Watson and the sheriff's office violated the First Amendment by promoting or attempting to establish a particular religion and abridging the freedom of speech of people who disagreed. They contend Bradley County participated by doing nothing to correct those actions, with the effect of "silencing the Sheriff's critics and promoting the Sheriff's religious practices," the lawsuit states. The atheist group asks the judge to order the conduct stopped immediately and forever, and that Doe and the American Atheists be awarded monetary damages and attorney's fees and costs. Contact staff writer Judy Walton at 423-757-6416 or jwalton@timesfreepress.com.